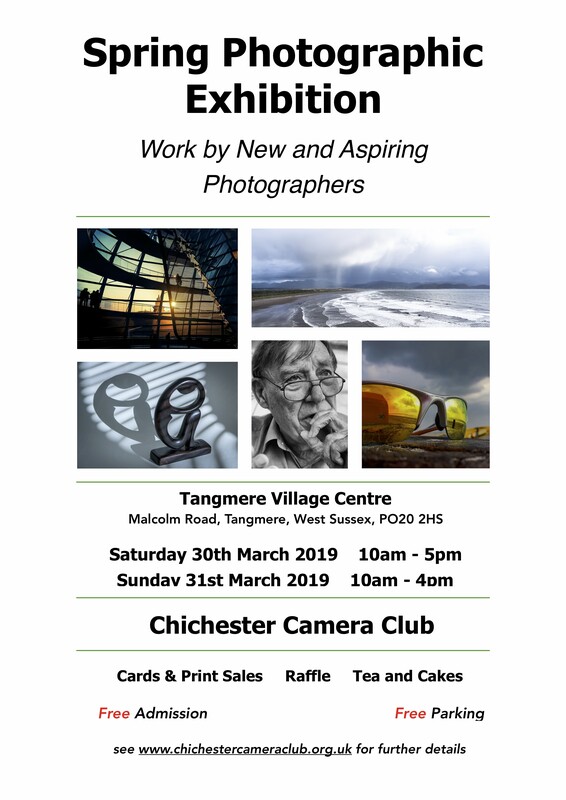 You are cordially invited to Chichester Camera Club’s Annual Spring Exhibition on 30th March and 31st March 2019 at Tangmere Village Centre. This exhibition, now in it’s 5th year, has proved a great success. The 30 participating print exhibitors have the choice and freedom to display their work however they wish with no rules on size or subject matter and NO judging! The PDI workers are each allowed to have up to 6 images projected again with no subject ruling. This freedom of choice results in images which show creativity and considerable artistic talent. The weekend also proves to be a great social event.